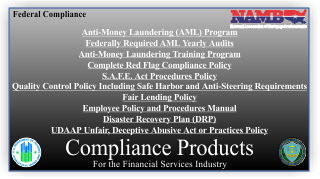 Many lenders are now asking for this compliance. UDAAP are misleading or harmful behaviors by those who offer financial products to the consumer as defined by the Dodd-Frank act of 2010. And, WE DO IT ALL FOR YOU! ORDER NOW!